More from England manager Roy Hodgson on BBC Radio 5 live: "All the teams we played in qualifying sat back so we were aware of that, we knew it was coming and were prepared for that. "At 1-0 up I was hoping we would kick on but we didn't and then they levelled it up and got a second goal when I thought we should have had a free-kick in the build up to it. "There are seven or eight league games left for these players, I hope their performances continue to excite me and give me hope for France." England manager Roy Hodgson tells BBC Radio 5 live: "We were very disappointed, the crowd was fantastic we wanted to send them away with a victory but weren't able to. It's very much highs and lows this week. "We didn't reach the level of intensity we did on Saturday, we weren't as creative but we had control over the game, we always seemed to be on the ball, didn't seem to be in danger but needed to create a lot more chances. "We couldn't recreate the buzz from Berlin and the two decisions that resulted in the goals could've gone our way. "But I still wouldn't have been satisfied even with a 1-0 win." "I'd like to see Jonjo Shelvey in the squad. He could play that role very well, getting the ball deep, he really can spray the ball around,. "He's great at hitting a 40 or 50-yard ball into the path of the strikers. "He's been disregarded - he wasn't playing for Swansea so he went to Newcastle, he's playing, he's captain but he's been disregarded." "If Jack Wilshere is fit then he goes to the Euros. I'd take him over Danny Drinkwater. "I don't think Jack is naturally a holding midfielder but neither is Drinkwater, he's more box to box. More from England boss Roy Hodgson on ITV: "We learned a lot. It was important to change the team and give the players a chance to show what they can do. I was most disappointed for the crowd of 82,000, which was fantastic, and it would have been nice to send them home with a victory. "I'm certain that the two games will have helped me with the decision about who to take on the plane to France with us." England boss Roy Hodgson on ITV: "I think we werehard done by and I don’t think we deserved to lose the game, the way the two decisions went against us [the penalty against England and a foul in the build-up to the Netherlands' second goal]. It was nothing like the performance I was after. We weren’t as intensive or incisive as we were against Germany." Paul Collins: Beating Germany had as much do with them switching off as England being good. You all ignore and hype up though. Gonna be Deja Vu. What are your thoughts? Tweet us on #bbcfootball. "The departure of manager Remi Garde after less than five months in charge is the latest desperate episode in a story of chaos and crisis that will soon end in Aston Villa's relegation. "Garde's exit is just another piece of the wreckage piling up around Villa Park as they lie hopelessly adrift at the foot of the Premier League with 16 points from 31 games, 12 points from the safety of 17th place with only seven matches left. "The Frenchman follows chief executive Tom Fox and sporting director Hendrik Almstadt out of the club. "Villa's demise is a shocking tale of mismanagement that is taking the club into the Championship with no guarantee of a swift return - and the 49-year-old leaves after an ignominious, short reign." "Remi Garde is the latest manager to feel let down by Randy Lerner. No one would've blamed Garde if he'd walked out when the January transfer window closed after he'd been promised new signings when he was appointed in November. "But Garde ended up lumbered with the same squad that got Tim Sherwood the sack in October. "Lerner must take major responsibility for Villa turning from relegation sleepwalkers into headlong dashers towards the rocks." In case you missed it earlier, Remi Garde is no longer manager of the Premier League's bottom club Aston Villa. There's been plenty of reaction coming in to his departure. Injured England captain Wayne Rooneytold ITV: "Tonight is disappointing. The players will feel hard done by. We didn't deserve to lose but we could have done more to win it." "If we're honest, England really didn't look like scoring. 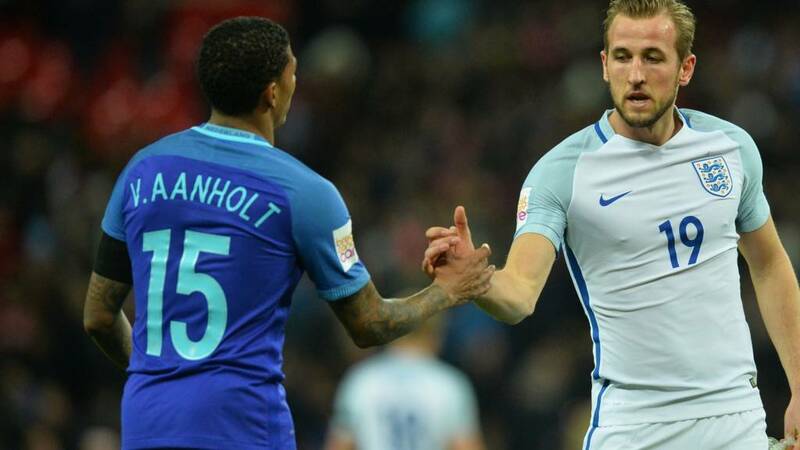 This is a bit of a reality check even though Roy Hodgson and the players stressed they weren't getting ahead of themselves after Germany." Kris Foster: We lacked ideas tonight. Needed to mix it up instead of playing it to feet, a target man is key for the Euros if we need a goal. Samuel Jones: Makes you wonder how many other players such as Drinkwater and Vardy are lurking unnoticed in the Football League. "The problem is when all the creative players are trying to operate in the same area - where there is space to go into that's when you see the best of Ross Barkley and Dele Alli. "Tonight they had to go in areas where they aren't comfortable receiving the ball. "Sometimes it's about finding the right combinations of players who play well together." "After the joy of Germany comes the woe of Wembley. This friendly ended in defeat and near silence as the Netherlands held on in comfort for victory. "England manager Roy Hodgson warned everyone not to get carried away after that superb 3-2 win in Berlin on Saturday. This defeat reinforces that message of reality." England captain James Milner tells ITV: "We don't want to moan about the referee. We have not done enough tonight." England goalscorer Jamie Vardy tells ITV: "It's an unbelievable feeling to score for England at Wembley but the result is disappointing. I have got to carry on the way I have been playing in the league and we will have to what happens. Danny [Drinkwater] has done himself no harm at all." David Wetton: Guess England don't need a July open bus tour after all? So who has booked a seat on Roy Hodgson's plane to Euro 2016? And who will be staying at home this summer watching on TV?